Glass block shower enclosures: Do you need to fit a shower into a bathroom with an odd shape or limited space? Glass block shower enclosures can be customized to fit any size bathroom, large or small and regardless of shape. 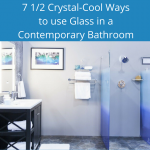 Because glass blocks are available in so many sizes and shapes, the showers can be square, rectangular, or even curved or rounded. 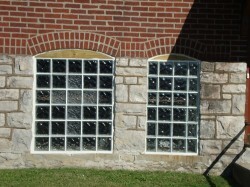 Glass blocks are rugged and long-lasting. They tend to last longer than tile or traditional glass showers. 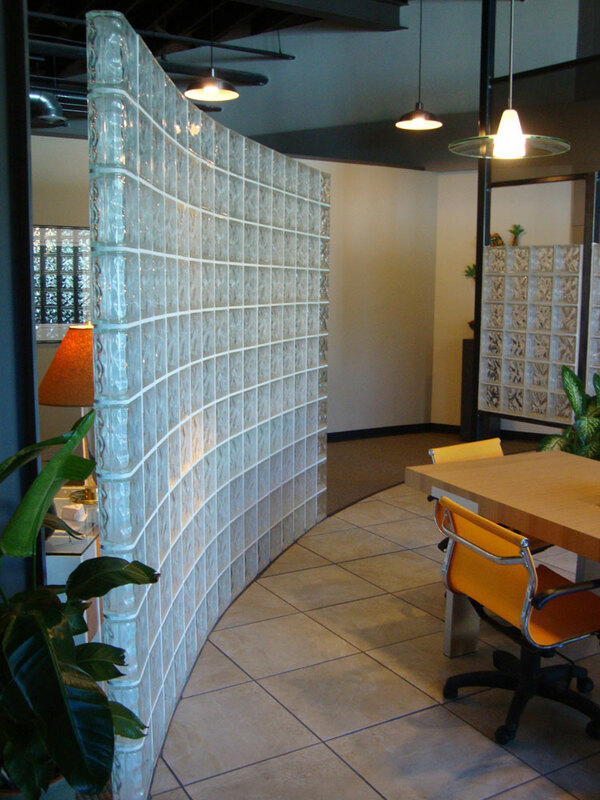 Glass block room dividers: If you want to divide a room but don’t want a plain old drywall wall, glass blocks may be the answer. Whether you need a floor-to-ceiling partition or a half-wall room divider, glass blocks are a stylish way to divvy up a space. Not only do they add an interesting focal point to the room, they allow light to filter through. Add colored or patterned blocks for a unique look. 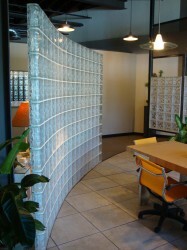 Glass block accents: Glass blocks can create an interesting accent wherever you install them. Use them on the back of a kitchen island for a finishing touch that is stylish and easy-to-clean. A glass block bar becomes the center of attention in a recreation room, home theater, or family room. Use laser-etched glass blocks or colored glass blocks to create a one-of-a kind focal point in any room. 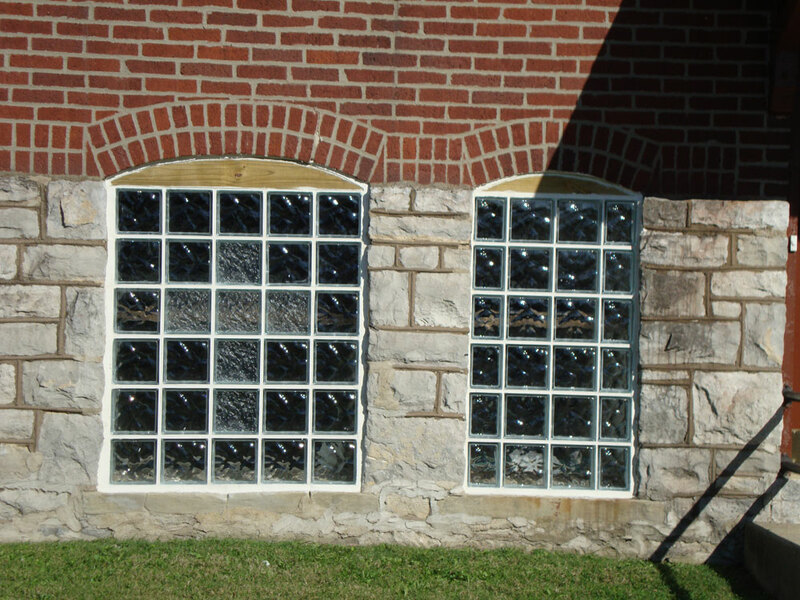 Glass block garage and basement windows: Glass blocks are more than just an attractive way to replace the traditional single-pane windows in most garages and basements. 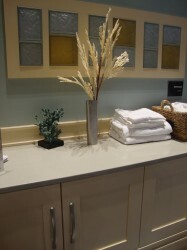 In addition to esthetic appeal, glass blocks let in light while providing privacy. They are hard to remove and almost impossible to break, adding to your home’s security. Glass blocks are more energy efficient than single or double-pane glass windows, reducing heating and cooling costs. 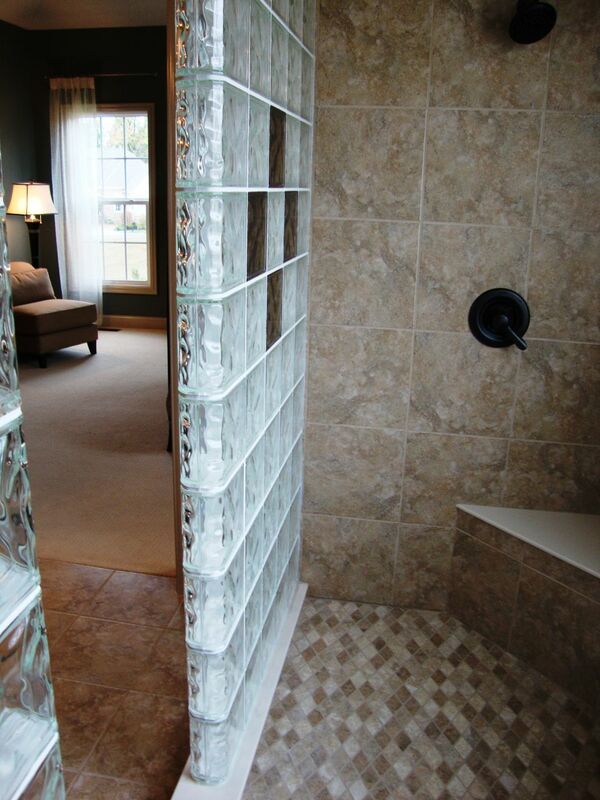 Which of these uses for glass blocks do you like best? Comment or call the numbers below for more information or help with your project. Leave a comment on our Facebook page or pin your favorite looks from our Pinterest page. Call Innovate Building Solutions on a nationwide basis (877-668-5888) or for a local project their divisions including Columbus Glass Block (614-252-5888), Cleveland Glass Block (216-531-6363) or West Side Glass Block (216-398-1020) or Mid America Glass Block in Akron (330-633-2900).